Welcome to the website for the Gamble Rogers Memorial Foundation. This website and the Foundation are dedicated to keeping alive both the memory of Gamble Rogers, a gentleman in the truest sense, and the appreciation of his music and stories which have touched so many of us. 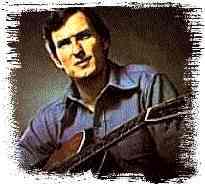 Florida lost one of its greatest folk singers on October 10, 1991, when Gamble gave up his own life while trying to save a drowning man. Although Gamble may be gone, his spirit and wisdom live on in his music and in his stories. So we hope you will spend a little time here listening to some of Gamble's music, reading his stories, and even sharing your own stories about Gamble with all of us. © 1991 - 2019 Gamble Rogers Memorial Foundation, Inc. All Rights Reserved.